The Korea Development Bank, the Export-Import Bank of Korea and the KDB Infrastructure Investment Asset Management Company have all confirmed that they will not be funding the $2 billion project. New Delhi: Another set of potential financiers have closed their doors on the Adani Group’s proposed controversial Carmichael coal mine project in Australia after representatives of the Wangan and Jagalingou (W&J) people – who are traditional owners of the land on which the mine is proposed to be built – wrote to banks in South Korea to express their reservations about the mine. Three top infrastructure project lenders in South Korea have responded to the W&J representatives’ email and clarified that they have ruled out the possibility of providing financial assistance to the Adani Group for the project. The Korea Development Bank, the Export-Import Bank of Korea and the KDB Infrastructure Investment Asset Management Company have all confirmed that they will not be funding the $2 billion project. The Korea Development Bank, a wholly state-owned bank in South Korea, stated in the email that they had reviewed the project “upon a Korean client’s request in 2014”. “However, we are no longer reviewing it. We wish to express that we have no intent to provide finance for the project,” the bank said in its email to the W&J representatives. The Export-Import Bank of Korea said that it is not considering any financial support to the Carmichael project “since, as far as we know, there are not any Korean interests any more in the project”. Also read: Adani’s Australia Story: What’s the Fuss All About? In 2016, the Export-Import Bank of Korea had met with the department of foreign affairs and trade of the Australian government and discussed the possibility of the bank providing finance for the mine. 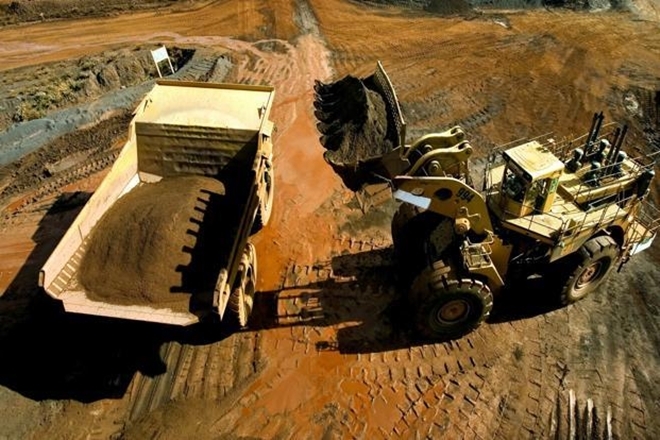 The KDB Infrastructure Investment Asset Management Company said that it had no intention of providing financial or other support or services to the mine. “We deeply conform the responsibility of financial investors and have well understood the importance and concerns for the development of the Carmichael mine on the W&J’s ancestral lands,” the company said. Representatives of the W&J people are travelling to South Korea to continue their lobby efforts against the mine. They will be meeting other financial institutions including Mirae Asset Daewoo which, in July, refinanced Adani’s Abbot point coal terminal in Queensland. “We will tell Korean financiers that we have never given our free, prior and informed consent for our rights to be extinguished, or for the development of the Carmichael mine on our traditional lands – a development that would destroy large parts of our ancestral homelands to which our law and culture is deeply connected,” said W&J traditional owner and lead spokesperson Adrian Burragubba. A section of the W&J traditional owners is opposed to the mine and argue that the Adani group does not have an uncontested land use agreement. In 2004, the W&J people lodged a ‘native title claim’ on over 30,000 square kilometres of land in Central Queensland. The Adani group’s proposed mine is to be built on parts of this land. The Adani group claims that it has a valid land use agreement, an Indigenous Land use agreement (ILUA), without which the mine cannot be built. It claims that in April 2016, W&J people voted ‘overwhelmingly’ to authorise the ILUA. “The families that represent the W&J people were not present in that meeting. It was a set up by the Adani Group. They do not have the consent of the W&J people to build a mine over our land,” Burragubba told The Wire. The W&J people approached the Federal court in Australia to invalidate the ILUA. But, the court dismissed the appeal. Now, the traditional owners have decided to appeal before the full bench of the Federal court. 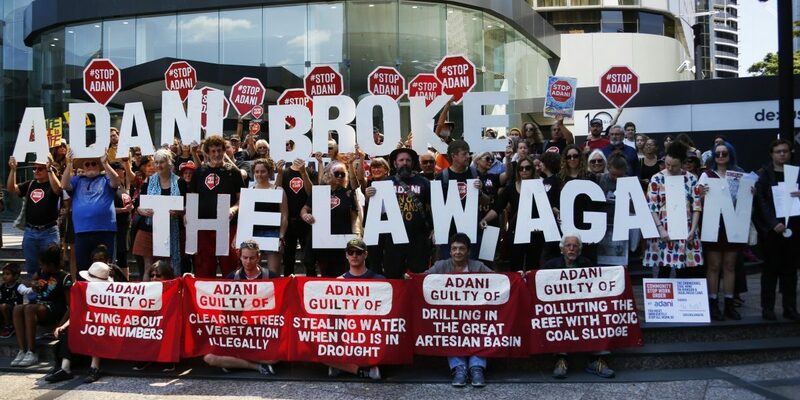 “We have shown we are determined to stop this disastrous project, waging a legal, political and human rights campaign over four years that has held Adani back. We won’t let them slip through at this late stage as their desperation shows,” said W&J Traditional Owner and spokesperson Murrawah Johnson. Apart from the indigenous populations, scientists and environmental activists have also opposed the mine arguing that it could cause irreversible environmental damage in the context of global warming. In particular, concerns have been raised over damage to the Great Barrier Reef, which witnessed successive mass bleaching events in 2016 and 2017, with 30% of its corals dying in 2016 and an additional 19% dying in 2017. Forecasts suggest that this Australian summer the entire Great Barrier Reef could see extreme heat stress with the likelihood of another bleaching event. Even the downsized version of the Adani coal mine is massive in scale and could potentially pave the way for other stalled coal mines to become operational in the Galilee basin. The carbon dioxide that is emitted as a result would be around 700 million tonnes contributing significantly to global warming. “We are close to finalising finance as the recent decisions to reconsider the mine plan and rail design have significantly simplified the finance requirements for the Carmichael Project. The details on finance negotiations are commercial-in-confidence and we will provide an update at the appropriate time. Adani Australia has been working with the Traditional Owners of the Carmichael Project area, the Wangan and Jagalingou, Juru, Birriah and Jangga, since 2010. Indigenous Land Use Agreements (ILUA) are in place with all four claim groups and are registered by the National Native Title Tribunal. The group who have travelled to Korea including Mr Burragubba and the people accompanying him, do not represent the majority of the W&J traditional owners. They are a minority faction. The majority of the W&J people voted 241 for and 1 against for an Indigenous Land Use Agreement with Adani. That agreement has been fully recognised and registered by the government and in the Courts. Mr Burragubba and his group have lost multiple court cases against Adani where their allegations have been tested. In the last case every claim they made was found to have “no merit” and the case was dismissed. Noted that Mr Burragubba and his group do not represent the W&J as they only “…form… part of a group within the Wangan and Jagalingou People…”. Held on the first ground of the claim that the claim “…is entirely devoid of merit…”. This means the judge found absolutely nothing they said to be true on this claim. Held on the second ground of the claim that it did not have “…any merit…”. Again this means the judge found absolutely nothing to support their claim. Held overall for the claims made that “…none of …. [the] grounds of challenge …has any merit…”. Once again this means the judge found no basis for the claims they made. The case was dismissed. We have reconsidered the mine plan for the Carmichael Project to allow us to begin production with a much lower initial capital investment. By ramping up to 27mtpa of coal production more gradually we can reduce the investment needed up front in plant, equipment and infrastructure. This follows our recent announcement of a new rail design. Building a 200km narrow gauge line that will connect with the existing infrastructure will cost less than the previous standard gauge rail solution. We are structuring the mine ramp up so that we deploy capital efficiently whilst ensuring we retain all of our options to accelerate the production ramp up. This plan requires no change to the mine approvals we have already secured. Port and Rail capacity will be sourced through the respective rail and port operators. This capital-efficient approach is practical, achievable and will allow us to deliver coal to our customers sooner and to take advantage of strong demand. We are close to finalising finance as the recent mine and rail decisions have significantly simplified the finance requirements for Carmichael. Note: This article was updated at 10:50 am on November 7 with the Adani group’s response.